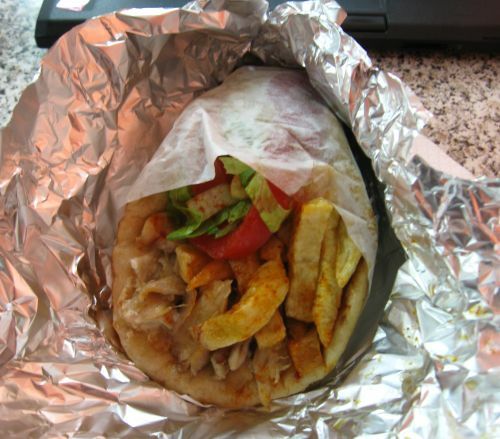 When arriving at the Athens International Airport (Eleftherios Venizelos), two popular destinations are Athens and Piraeus, the ferry port where you can get a boat to the Greek Islands. 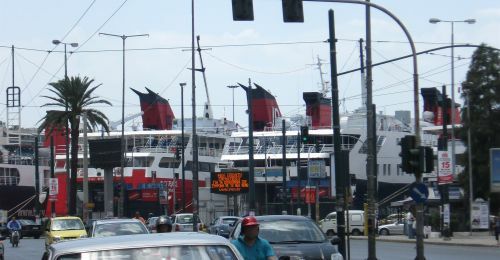 Since the flights to Greece from the US typically arrive in the morning, I sometimes go directly to the ferries in Piraeus. 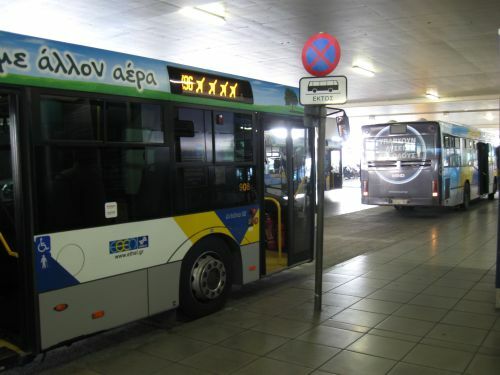 To catch a bus to either Athens or Pireaus, walk out of the airport turn to the right and look for the city buses. 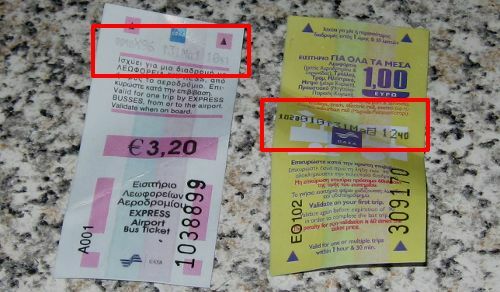 Before boarding the bus, buy a ticket at the ticket kiosk by the buses (currently €3,20 to Piraeus). When you get on the bus, validate your ticket by inserting it into the validation machine in the middle of the bus. That will print the date on your ticket as shown in the image below. Everyone in customer service at the airport, including bus drivers, speaks English, so it's easy to ask questions if you get stuck.